Cherries aren’t the only Blossoms in Spring, Don’t Forget About the Plums! It’s springtime and everyone is excited about the cherry blossom season in Japan. But those aren’t the only blossoms during this time of year, this is also a famous time for plum blossoms as well. These blossoms actually look quite similar to cherry blossoms, and they smell amazing. I’m always surprised at the lack of attention they get from foreign visitors. 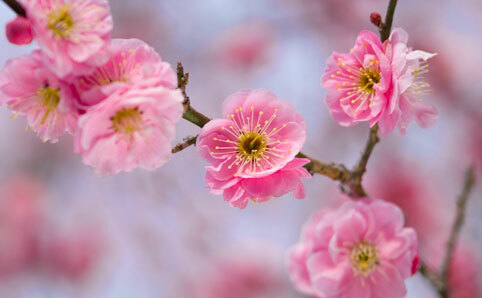 Like cherry blossoms, plum blossoms come in a wide array of pink colors ranging from almost white to dark, deep pink hues. The main difference between them, other than the smell, is that the cherry blossoms have a small indentation at the end of each petal. If you’re now intrigued to see plum blossoms for yourself I highly recommend taking a visit to Sekai no Ume Koen (世界の梅公園). Literally “World’s Plum Park”, this great viewing spot is located in Mitsu, Tatsuno City in the Hyogo Prefecture. It’s not really well known outside of the Kansai area and most visits are coming from nearby Okayama, Kobe or Osaka. Living in Nishinomiya outside of Kobe, I never would have known about this place if I hadn’t seen a poster for it. I don’t think I’ve ever seen this place mentioned in a guidebook, which is quite unfortunate. The park gets busy during early spring when all the blossoms are in full bloom. 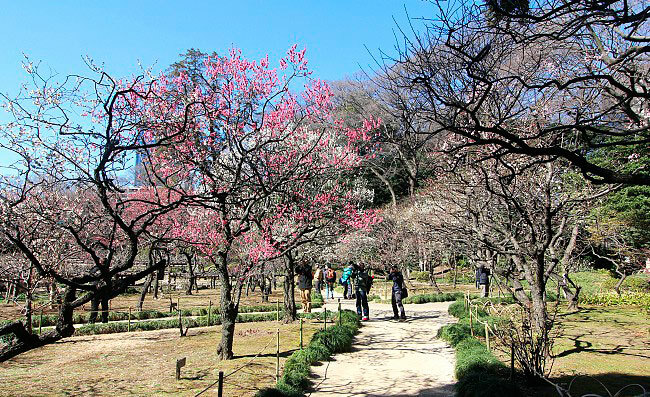 Sekai no Ume Koen opened in 1993, and has over 300 different types of plum blossoms around the park. The types aren’t just from Japan either. There are also variations from China, Taiwan and Korea. Around the park there are many observation spots and benches where you can just sit to relax and enjoy the blossoms. Many of the buildings are actually styled in Chinese Tang Dynasty architectural style, which gives it a more unique appeal. 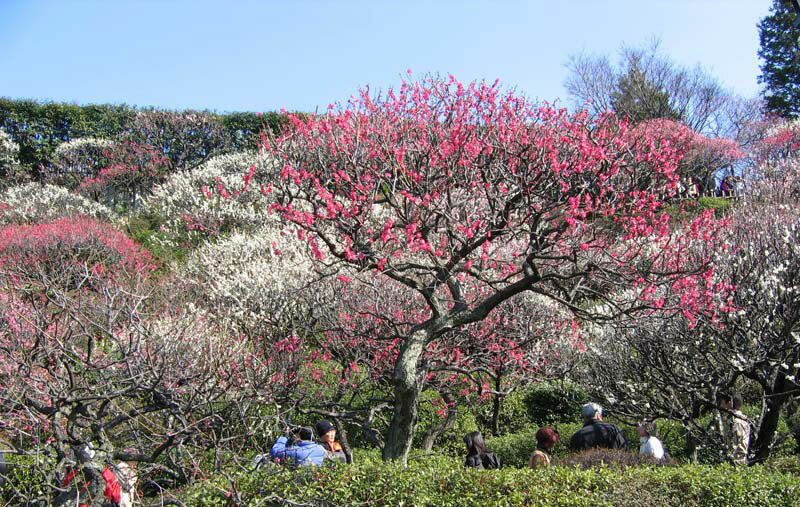 The park is also right along the Seto Inland Sea, which offers a beautiful scene of blossoms against the ocean backdrop. On a clear day you can actually see nearby Awajishima in the distance. One of the main points of interest at the park is the jinbaikan (尋梅館). Inside there are photos and descriptions for all the different plum varieties found in the park, as well as a small plum museum of sorts. the tobaikaku is another popular point of interest as it serves as an observation platform looking out over the park. The views from here are absolutely wonderful and the building itself looks quite cool. All in all, even though many people have never heard of Sekai no Ume Koen, it’s definitely worth the visit and is a secret gem of the Kansai region!